After building up years of experience, Dynojet has built their Power Commander V to bring pro-level ignition and fuel control to the everyday rider and weekend racer. With the Power Commander V you get an unparalleled list of tunable criteria and a wide range of adjustability. With this you can take your machine to a point where it goes from good to great while still matching your riding style perfectly. 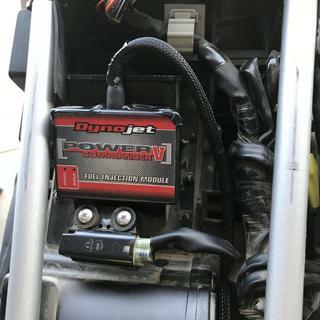 The list of capabilities is extensive and includes gear input, analog input, -100/+250% fuel change range, 10 throttle position adjustment point, an enhanced "accel pump" utility, and a USB connection for an adapter free hookup when programming. With Dynojet’s Power Commander V your motorcycle, ATV, or UTV will get more power and better delivery than you ever thought possible. Just buy it you won't be disappointed. I added this and a clutch and exhaust to my 800 and what a difference.easy to hook up and program. Dont even bother with other programmers.. this is not that much more and it's so much better and customizable, if you don't want customizable and want something simple slap that map the fits your set up and ride on! it's still alot more fine tuned then the simpler brands. The increase throttle response is great! it's a hair pin response now and a must have for any aftermarket exhaust system. Power commander v made a big difference. Power commander v made a big addition to my intake mod. If you're up in the air about spending the money, stop thinking and just buy it. Crazy change in performance! I bought the PCV to replace a deferent tuner that was not making my bike happy. This tuner was easy to install and the downloaded map worked great. There are future plans to get my own Dyno Tuned Map for my bike. Other tuners can only add fuel while the PCV can subtract fuel where it’s not needed. Works as stated. Istalled easy with videos from youtube. Simple installation and very easy map loading! Works wonders for the bottom end power that is lacking on the WR250R. A must have for any racer. Excellent product. If you plan on getting the most out of any mod,then you will want this product. Love the adjustability. I bought this for my 16 CRF450r. The install wasn’t too bad but it immediately gave me issues with my bike not starting. After spending 2 hours on the phone with Dyno Jet they deemed the product defective. Ultimately I ended up getting my money back. Please do your research before you purchase one of these. I have a 2017 Kawasaki Teryx4 LE. I’ve put on a HMF exhaust (stock headers) and cut out the cat. Then I added the power commander V. It is already snappier off the line, now I’m getting ready to put in the autotune for it and I will write a seporate review for it and let you all know how much more it improves. Fits great under drivers seat for easy access. Excellent tuner. Easy to install and use. Technical support is very helpful. Dont hesitate if there is interest buy you will not be disappointed! Just ordered this for my Honda Pioneer 1000-5. I'll get back as soon as it come in to review. Lookin for more performance even though it's really impressed me as of now. Excellent product! Made a large improvement in the performance of my machine. The directions were easy to follow which made for easy installation. installation wasn't to difficult. One downside is the mapping system only works for PC's. I am a MAC person, so had to borrow a PC laptop to download the software, then instal it to the power commander. Do get a needed power difference. Rocky mountain is a great company to deal with. The free shipping is great. This is the best upgrade you can make at this price point. Installation was a snap and took it out and instantly noticed the difference. Great way to add some power. Really wakes the machines right up. I would buy the auto tuner kit for this and you will be set. Thank you Rocky mountain!! Way cheaper here than anywhere else. Fast delivery!! Bought brand new 2016 raptor along with the power commander I also purchased the pro circuit complete dual exhaust system and twin air filter with a pre cover. After I broke the bike in I had my mechanics professionally install this power commander, along with the exhaust and air filter. WOW! This thing is like steroids for your bike. Can pull up wheelies no problem in 4th gear without clutching it. Just hit WOT and she's screaming.. The other capabilities of this device are impressive as well. Definitely worth the money all thanks to dyno jet and Rocky mountain! You need a computer and some understanding of How to work one.. Lol.. I'm usless when it comes to that, so I let the guys with the dyno time my bike in perfectly.. Item arrived in Kansas within 3 days of ordering. Found the best price from Rockymountainatv even better than Ebay or anywhere else. Arrived as described and performs as expected. Ill keep ordering from here as long as things continue to go smooth. Almost forgot, the rocky cash or whatever is a bonus too. I just made my second order and used the 15 bucks i got on that purchase. came out to about a 7% discount. Totally different bike with this unit. Highly recommended. When downloading a map, does the PC5 have to be connected to the ATV? I ask because I do not have a laptop that will allow me to do this, only a desktop which is located where I can't get the ATV lol. BEST ANSWER: You're really going to need a laptop, a PC one as well. I have an old HP laptop I keep around solely to use for the power commander. The program doesn't work with MAC. There will be software updates and if you want to change the maps, you will need to plug a laptop into the PC module. Hope that helps. No you don’t have to have it connected to the ATV to download a map. 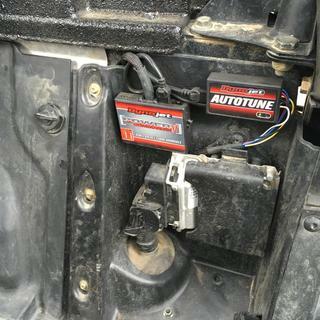 But it would be difficult to have this installed on the ATV and then remove it just to install a map. It’s not a quick task to install and remove the power commander. No it does not have to be connected, you take it out of the box plug it into your computer download it and then take the PC five to your ATVEnter an answer to this question. I have not tried it the way you describe but I believe it will work fine if not connected to a desktop computer. maps can be downloaded to the PC5 when not connected to the bike or ATV. No, you are able to take it to your pc to download new maps. I have a 2018 polaris sportsman 1000. I am keeping the stock air box and exhaust. If i install this power commander will it make any noticeable difference? Also would it be beneficial to get the auto tune? BEST ANSWER: Hi, it will make somewhat of a difference I would believe. Be sure to check programs available before going ahead with the programmer. There might not be a program available for a Polaris with stock exhaust and stock air intake , from Power commander. I installed one on my 2012 raptor 700 with dual exhaust and air intake and it made a 30% gain. Awesome! You should not see a great drop in mpg as we are not adding a large amount of fuel. We are just adding enough to get the AFR to drop to a desired performance ratio. You might see a little bit but not much. Usually the drop in mpg is a direct result of the rider getting more aggressive on the throttle due to the performance increase. Those vehicles come pretty lean down low. 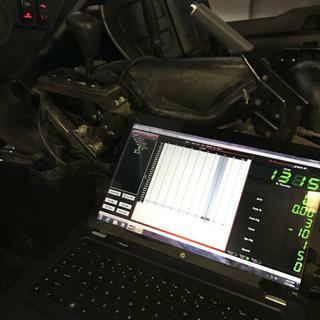 Even with a stock exhaust and air box the vehicle will run better and you will feel it pull stronger in the mid range from us adding more fuel to it. You can also add some timing that will help. You will notice an improvement with the stock improved map that comes preloaded in the unit. awesome. will this commander significantly decrease my fuel range due to adding more fuel? I installed this on my 2013 WR250R. It installed easily, and it has added power throughout the power band. I elected not to add the autotune. Does this extend my rev limiter & give my 2016 Yamaha Wolverine R-Spec more top speed? BEST ANSWER: So from the mfg they usually on most application give 500rpm of extension. I believe if you contact them they can do 1000rpm on some applications. So it will only Extend your top-end by a max amount of the percent of rpm added to the quad. Example: say you could hit a 10,000 rpm limit on a race quad stock with a speed of 70mph. With a 500rpm gain that is 5% assuming you were hitting the rev limiter before and after putting your new speed at roughly 73.5 mph. If you were not able to hit the rev limiter in top gear on the stock calibration, if it adds enough power to push you to a new extended rpm, you will gain again the percent difference in rpm gain towards your mph. As far as extending the rev limiter I'm not 100% on that because I have not tried my hand at it myself just yet. I just downloaded a tune for it. The extra power you do get through out the rpm should give you a little more top end though. I hAve a 2016 Honda pioneer 700-4 will this help it go over 40 so I can keep up? BEST ANSWER: None of our power commanders remove any speed limiters. Unfortunately there are mechanical reasons(clutching) we are not in control of that will prevent us from getting anymore speed out of it. Do I need the Auto Tune for the Power Commander to work or will it work on its own? 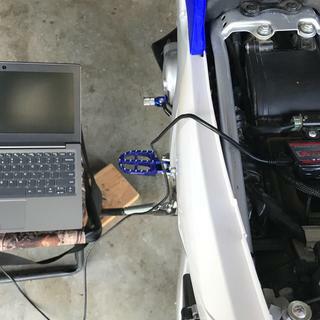 BEST ANSWER: You do not need the auto tune but you do need to have the Power Commander either set while the bike is on a dyno with a sniffer (O2 sensor) in the exhaust or use the settings that someone else you trust has gotten the same bike as yours while their bike was on a dyno with a sniffer in the exhaust. A sniffer is nothing more than an O2 sensor on the end of a tube that the operator slides down the exhaust pipe to temporarily take the place of what the "Auto Tune" does. The auto tune is nice because it will continually retune and compensate for all conditions but the one time programming with a sniffer is adequate to get it close enough for everything. I did the dyno route with the sniffer.....no regrets. You don't need the auto tune but I found it to be greatly helpful in fine tuning the air to fuel ratio after some intake and exhaust mods. Also, the AT allows you to monitor the AFR live and adjust. The canned tune in the PCV was too rich at idle for me and it was fouling the plugs. It would have been hard to diagnose that with out it. If you have a speed shop near you, you don't need the AT. Just take the vehicle to them and they will tune it for you. No. I have just the power commander only. And it works good. It's more responsive and little more power. The auto tune constantly tunes for temp, altitude, conditions etc. auto tune will probably make it run even better and protect the motor if you have other performance mods. I'm am not a professional, just my own experience and opinion. Thanks. It will work as packaged, but the autotune is recommended to get the most out of the pc. You don't. But there is a big difference by using the auto tune. I would recommend it. This is a stand alone unit & does work by itself. Can you do it from a smart phone rather then laptop? using it via my phone. If someone were tech savvy I'm sure they could figure something out but I'm a bit of a lug head over being a tech geek. Not at this time. We are working on an app you will be able to control from your smart phone but currently it has to be a windows based computer or laptop. Tablets also do not work. No, you need a PC. The Power Commander V uses a USB cable to connect to your PC. No, has to be a lap top or tower. It uses a usb cable..
Will this eliminate the front diff lock speed limiter on my 2017 Teryx 4? Also will it remove the limiter for the no seatbelt, low range limit and 50 mph speed limiter? BEST ANSWER: It doesn't seem to change any "limiters". It's just a fuel and ignition mapping change. As of now anyways. I'm sure dynojet will come out with more maps for it. I have noticed an increase in power though. In reference to your seatbelt question. I just unplugged mine. Didn't have to bypass it, and works fine. Most likely not. The programs I have seen have most to do with fuel and timing management. Will the Dynojet Power Commander V Fuel and Ignition Control module allow mt to adjust the rev limiter on my 2016 pioneer 500 ? I specifically want to raise rev limiter to increase top speed . BEST ANSWER: No, This only lets you set the mapping at stock rpm's. To do what your looking for you would new a vortex ignition module. The ones I run on my race bikes are 1200$. It wont do that on my 900XP. You should ask Dynojet. There is a good reason for the rev limiter, ask Honda about it. You have to call dyna jet to have them allow the power commander to change your rev limiter. Will the commander v work on my polaris 850 with out any thing else? It will, however you'll have to build the fuel mapping table unless someone came up with an importable map. I purchased the autotune and set it to the fuel/air ratio so it builds the tables for me. You will only need this if you are upgrading your exhaust and intake. If your Polaris is stock, it will hurt more than help. Will this increase the rev limiter on a 2016 Polaris 850? BEST ANSWER: Perhaps the Polaris machines are somehow different, but I have this on my 2017 Kawasaki Teryx4 LE and YES you can adjust your rev limit. The setting to do that is not on the main screen so maybe Alex P hasn’t found that setting yet, or maybe Polaris somehow locked out that function, but the power commander V itself DOES HAVE THAT OPTION. Will this really fit my 2016 Honda pioneer 700? Also if it really does fit my application will it cut out my rev limiter? I'm sick of 43mph when my kawasaki tyrex went 70mph after all the additional parts. Hi, yes it will fit your Honda and is one of the best upgrades you can do for this price point on your machine. Go for it, it was a no brainer for me. Good luck! 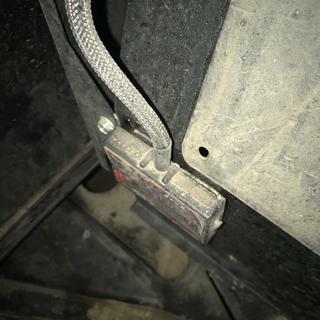 Would this fit an 08 Polaris ranger 800 rzr?